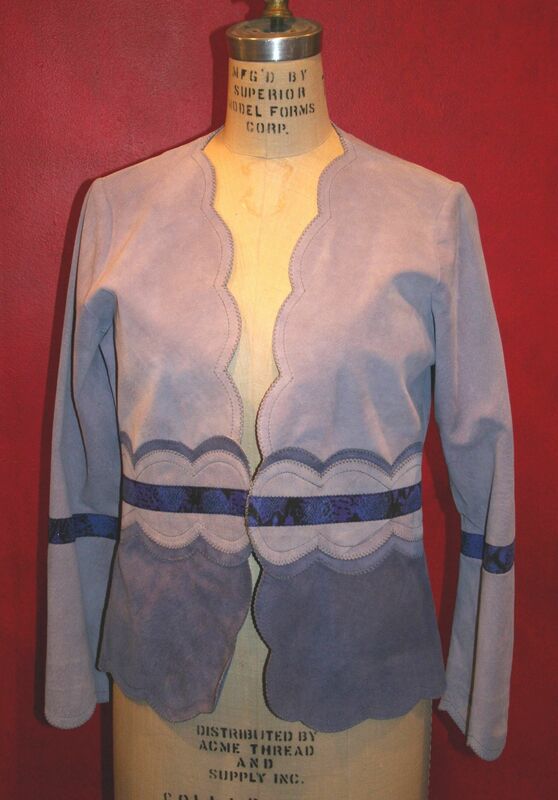 This scalloped simple jacket with “cut-edge” which shows the edge of the leather without being finished (rolled and stitched). 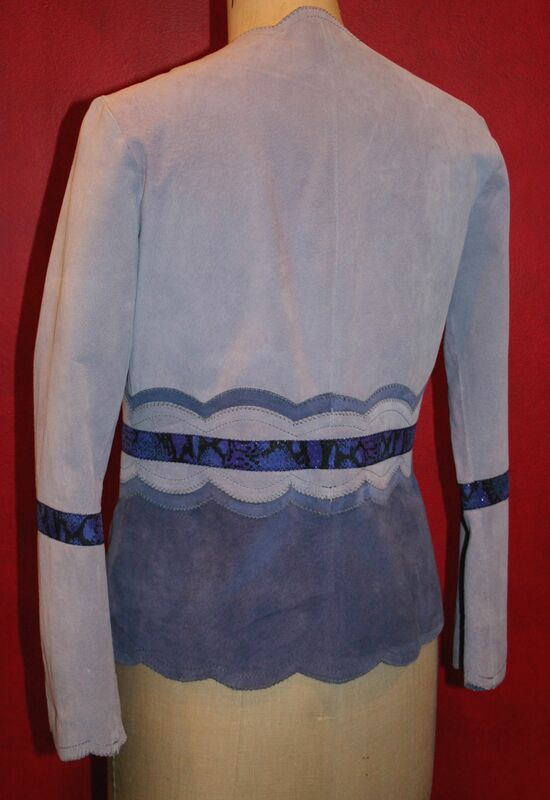 Instead the edge is cut and stitched to the facings showing the raw edge of the material in contrast to other parts of the styling and are applied in layers. 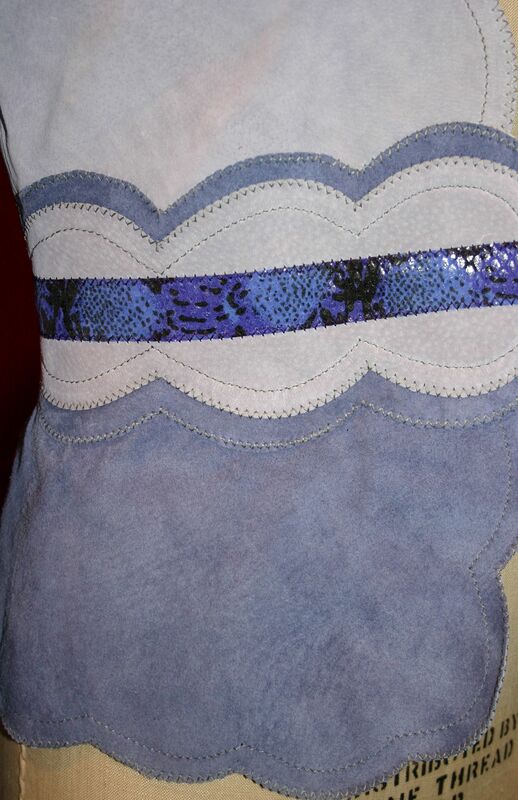 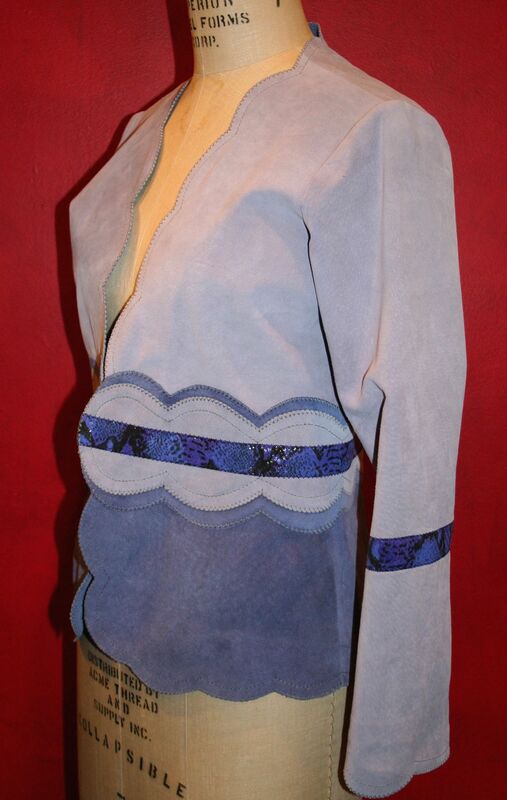 3 shades of lavendar suede with lavendar and blue printed snakeskin accents. 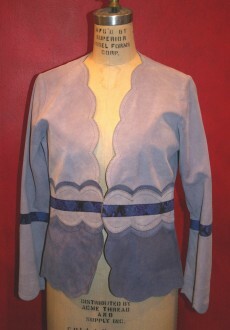 By custom order only in a variety of suede colors and combinations.